1. Why should I visit a neurologist in the case of a disc herniation? Why should I go and visit a neurologist in the case of a disc-herniation? Should I not rather go to an orthopedic surgeon? The main problem with a herniated disc is usually, that the disc exerts pressure on a nerve (more precise: nerve root). The work of a neurologist is to examine nerve function. 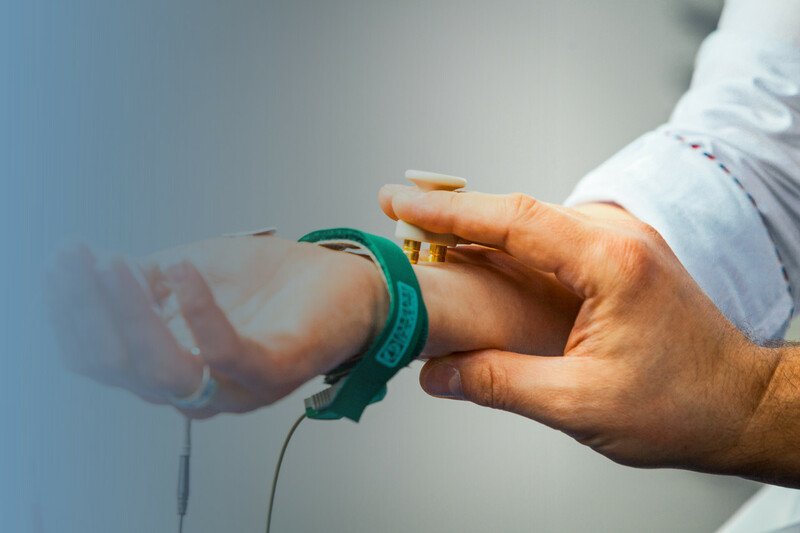 With additional training in a certain subspecialist area of neurology (clinical neurophysiology, NCS, EMG), the function of nerves can be measured precisely. This is very important information to decide on the adequate therapy. Here, a close collaboration between specialists of the spine, orthopedic surgeons and neurologists is often very helpful to decide on the best treatment. if “nerve-symptoms” occur – possible symptoms of a “pinched nerve” at the level of the cervical or lumbar spine are: pain is not restricted to neck or lower back but radiates into arm or leg; possibly further symptoms, such as sensation of tingling, „pins and needles“, numbness, muscle weakness, etc. if important therapy decisions have to be made: is an operation necessary? Is there impending nerve damage? 2. Disc Herniation: Is an operation necessary? 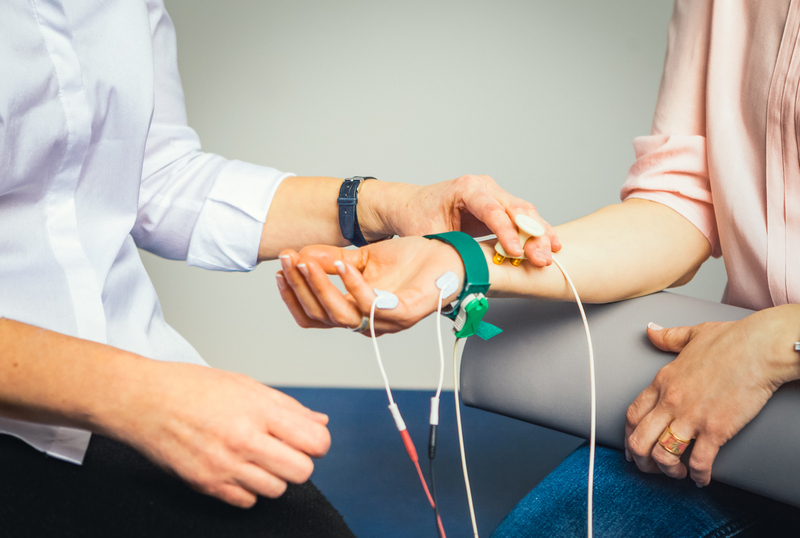 A subspecialty area of neurology is the exact measurement of nerve function using clinical neurophysiology (NCS = nerve conduction studies, EMG = electromyography). As a neurologist specialized in clinical neurophysiology, I have special expertise in testing nerve function. 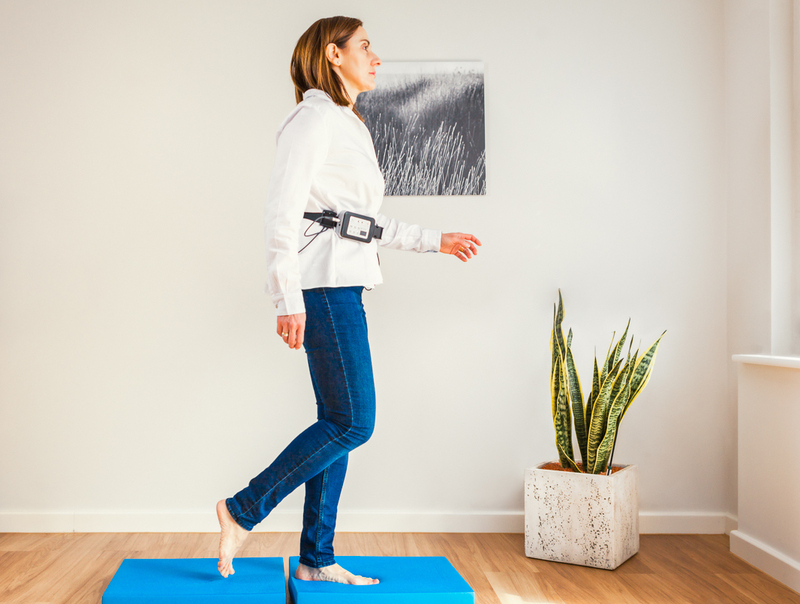 Using NCV and EMG, the function of the nerves or nerve roots can be accurately measured. The information obtained by clinical neurophysiology studies can not be obtained by other examinations (MRI for instance). Using NCV/EMG, the functioning of nerves can be exactly measured; the functioning of nerves can not be seen on MRI. Frequently I do see the constellation of a huge disc herniation that causes astonishingly little functional impairment as measured by exact neurophysiological methods. The opposite situation also occurs: the disc herniation seems only minor on MRI but clearly affects nerve function. 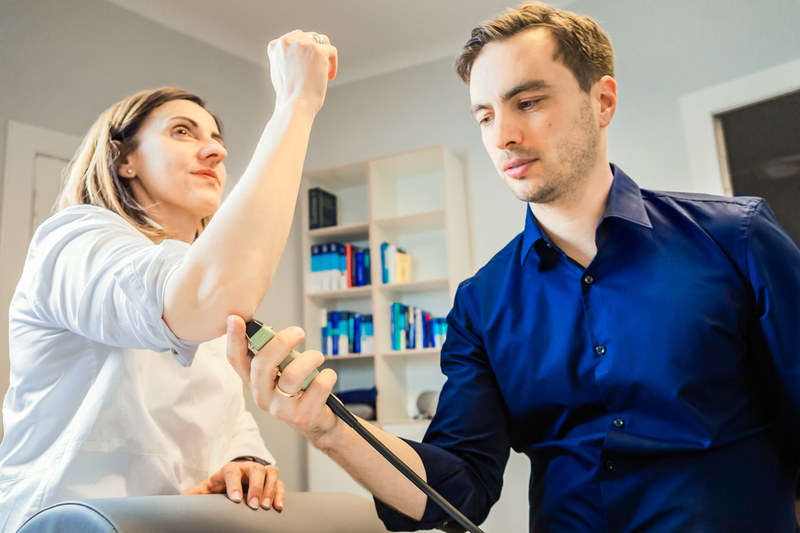 By means of the neurological examination, it can be distinguished, whether a nerve root is „only“ irritated or actually damaged. In my eyes, this is by far the most important criterion to decide, whether an operation is necessary or not. Because disc herniations are frequently found on MRI (even in totally asymptomatic people), seeing a disc herniation on MRI does not mean necessarily, that this actually causes the symptoms! There are quite a number of other possible “neurological causes” that can mimick the symptoms of a disc herniation. If the symptoms are not caused by a herniated disc, the best spinal surgery will not remove the cause of the symptoms. To clarify these questions beforehand is another important aspect of the neurological examination. Are my symptoms actually caused by changes of the spine? Is a nerve root affected? Which one? Is the nerve root irritated or damaged? Is there a measurable deficit in nerve function? Am I at risk for persistent neurological deficits? Is an operation necessary? 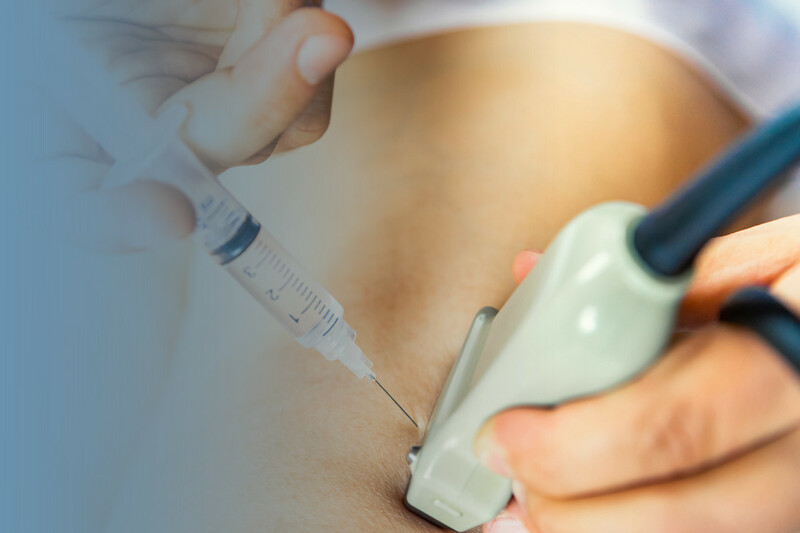 Is there a reasonable time-window for non-surgical therapies? etc. Most important is a good teamplay (of course only if you want this; some people come for a second opinion only or are under care of a multi professional spine team and only come for neurological evaluation), which means discussion of findings and therapeutic approaches with the whole team involved in diagnosis and treatment (general practitioner, orthopedist, neurosurgeon, spine specialist, physiotherapist, osteopath, etc). 3. Numbness/Tingling in the hands: Is the cause an entrapped nerve? What can I do? Why should I go and visit a neurologist in the case of a suspected carpal tunnel syndrome? Should I not rather go to a hand surgeon? – Also, a lot of people think, that tingling and numbness are caused by a deficit of blood circulation. In fact, the so-called carpal tunnel syndrome is by far the most frequent cause of tingling and numbness of the hands. This happens far more frequent than a cause at the level of the cervical spine or a disturbance of blood supply. Even if the MRI shows degenerative changes of the cervical spine (which is the case by the way in most people, even if they are asymptomatic; the same holds true for muscle tension in the neck-shoulder-area), this could still be incidental and does not mean, that these changes are actually causing tingling and numbness in the hands. Whether or not the symptoms are caused by carpal tunnel, another nerve entrapment syndrome (“pinched nerve”), a problem of the cervical spine or a disturbance of blood supply –it is very important to accurately examine for the actual cause of the symptoms. Only if the cause of the symptoms has been defined precisely, an effective therapy can be started. Are my symptoms caused by a “pinched nerve”? If yes, which nerve and where exactly? Is it carpal tunnel? Another nerve compression? Or is the cervical spine actually causing my symptoms? In the case of a carpal tunnel syndrome: is there a deficit of nerve conduction („nerve damage“)? Can the nerve damage be graduated as mild, moderate or severe? That is: is it “dangerous”? Is there a risk of persisting neurological deficits? Should I opt for surgery? Is there a reasonable time-window for non-surgical therapies? Which therapeutic options exist? etc. So, why again should I go to see a neurologist if my hands are „falling asleep“? I do think, the question is neither “who does it best?”, nor “who knows it all?”. The question rather is, who can contribute important puzzle pieces in order to see the whole picture at the end. To see “the whole picture” a good teamplay with different medical specialists (general practitioner, hand surgeon, orthopedist, neurosurgeon, spine specialist, physiotherapist, osteopath, etc) is most important. 4. When do I need a NCV/EMG examination? 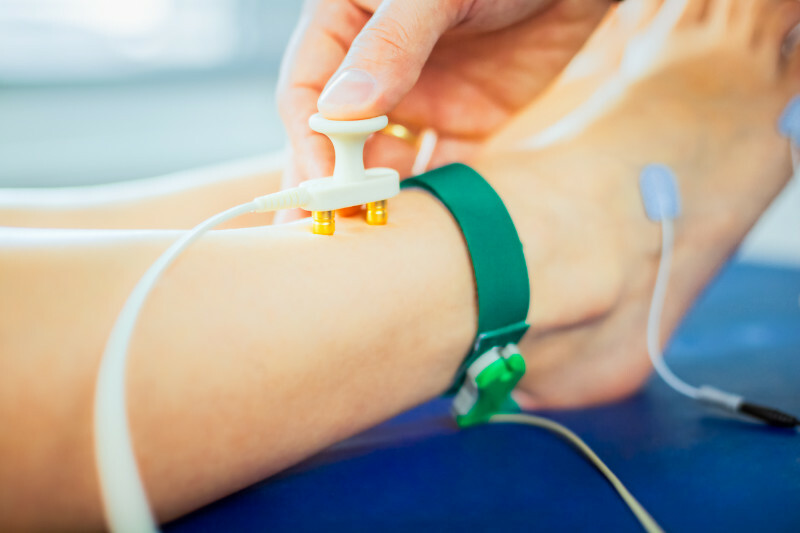 In the following situations the NCS/EMG examination is a valuable tool and aids in important therapeutic decisions. pain, especially if going along with other sensations (tingling, pins and needles, burning sensations, „like an open wound“, „like a sunburn“, etc). 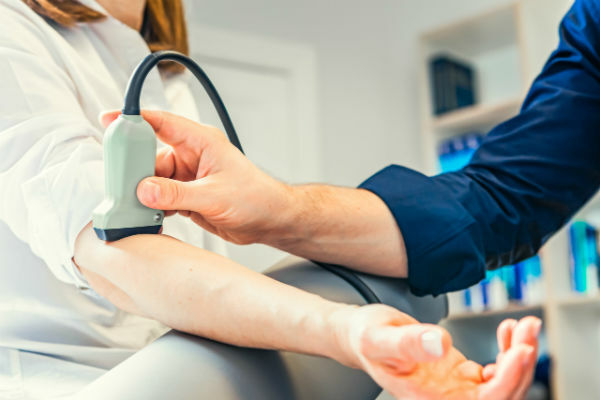 We do offer special expertise in diagnosing and treating patients with muscle weakness caused by neuromuscular diseases such as motor neuron disease, muscular dystrophies, myositis, myasthenia gravis, mitochondrial diseases and channelopathies. Sports neurology addresses the neurologic aspects of sports and sports-related injuries. It is a relatively new an developing subspecialty within the field of neurology. Both the central and peripheral nervous system are at risk for injury through exercise and sport. • Evaluation and treatment of pain syndromes affecting athletic performance. Patients often come with one of the following questions: Is the pain due to a nerve problem? Is it because of a „pinched nerve“? what to do? • Evaluation and treatment of athletes who have suffered concussions or mild traumatic brain injury (mTBI). A neurological examination and counseling is aimned at answering the following questions: Do I have suffered a concussion? How to manage this condition? When can I return to play? The aim is to help get athletes back on the playing field timely and safely. • Muscular issues such as fatigue, cramps and poor endurance can be of neurological origin as well. 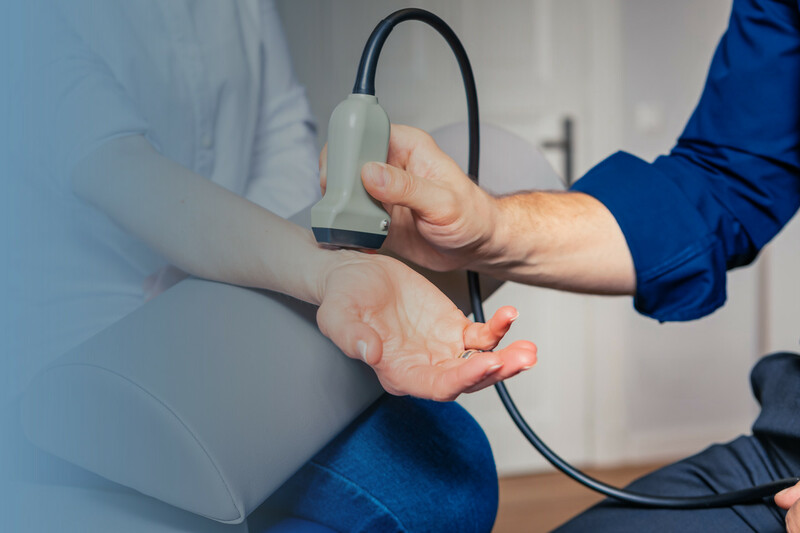 To sort this out, we offer specialized diagnostic examinations and treatment for nerves and muscles. 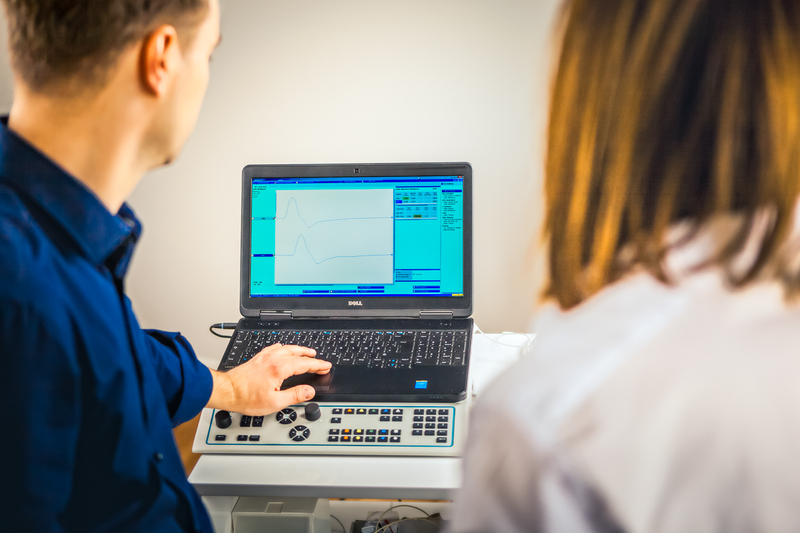 In our office we offer specialized diagnostic procedures in order to evaluate nerve function. As most sports-related injuries are of musculoskeletal origin, the focus of sports medicine is usually on orthopedic treatment. Less attention is usually given to neurological injuries. Nerve injuries are less frequent but potentially more serious. Thus a thorough neurological examination with consideration of biomechanical aspects of sports should complement a sports medicine and orthopedic evaluation already at an early stage, whenever involvement of nerves can be suspected. If for instance pain is due to a nerve problem, this changes the management. Thus, the first question to the sports neurologist is commonly: is there a neurogenic origin of pain? 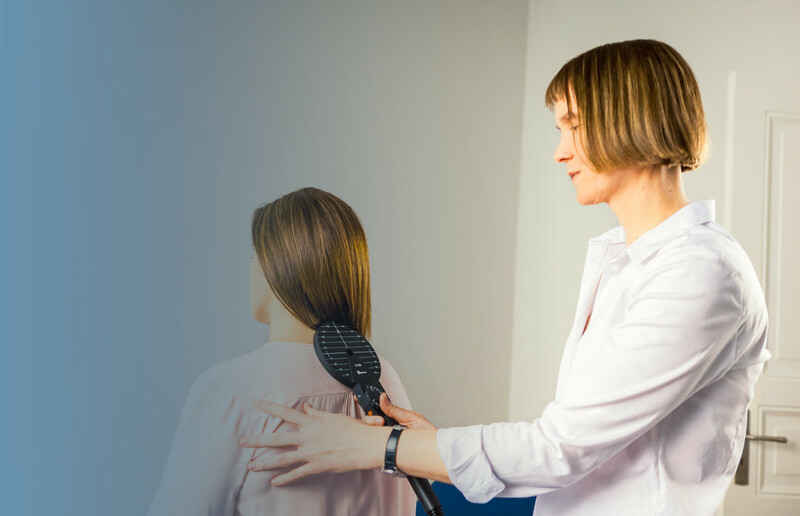 To sort this out, we offer specialized and innovative diagnostic examinations and treatment for nerves and muscles. For more information about our diagnostic approach see the section diagnostics. Why should I go to a neurologist? A doctor caring about peripheral nerve injuries or neurogenic pain in sports needs a sound knowledge of neuroanatomy and neurophysiology, as well as a profound knowledge of possible neurological symptoms and signs. Furthermore biomechanical risk factors associated with various sports have to be considered. 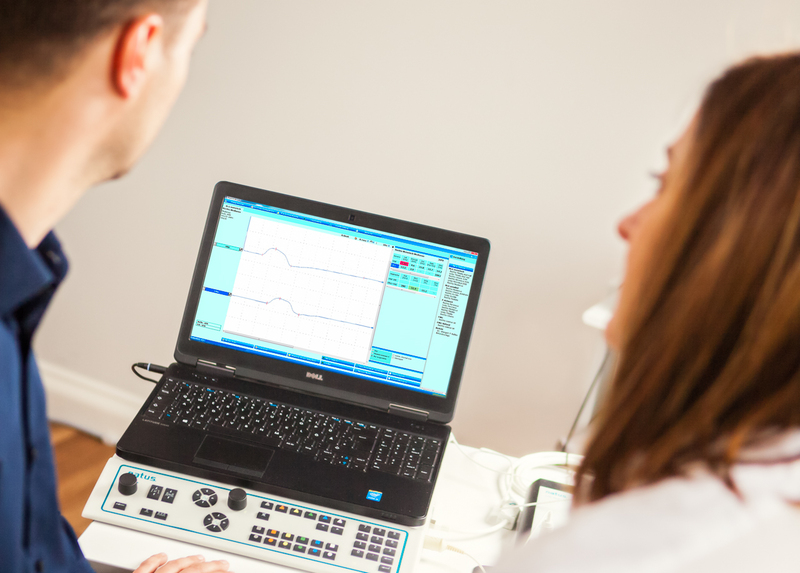 In our office we offer specialized diagnostic procedures in order to evaluate nerve function. Besides neurophysiological testing of nerve function (see section on NCS and EMG), we are using nerve ultrasound to actually see the nerves and find out what is wrong (see section on nerve ultrasound). 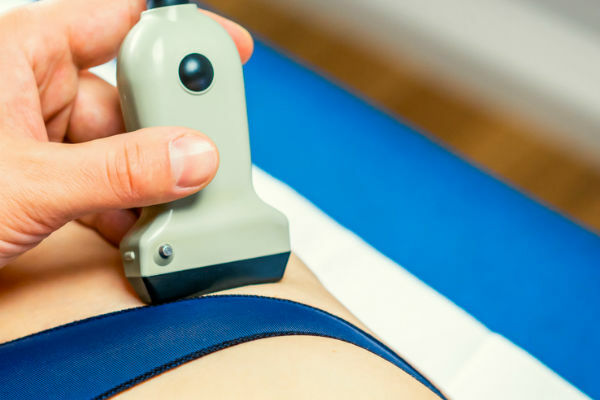 nerve ultrasound also allows dynamic testing, that is visualizing nerves during movements, because sometimes a nerve entrapment occurs only in a certain limb position. Proper recognition can prevent unnecessary diagnostic testing and delay in diagnosis. The sooner appropriate treatment can be installed, the better is the prognosis. Concussion is a type of brain injur which results in impairment of normal brain function. It occurs when the brain is rocked back and forth or twisted inside the skull. A concussion does not alter brain structure and is not a brain hemorrhage (that means MRI oft the brain and skull is usually normal) – but it changes how the brain normally functions. Which symptoms can be caused by a concussion? Thus a variety of symptoms can be caused by a concussion. Symptoms include headache, sensitivity to light or noise, nausea, dizziness, troubles with balance (vestibular dysfunction), problems with attention, troubles with concentration or memory (cognitive symptoms), foggy thinking, as well as fatigue, feeling sleepy or groggy, sleep disturbances, mood changes. I have not lost consciousness, can I still have a concussion? Yes, you can have a concussion without losing consciousness. In fact, very few people lose consciousness when they sustain a concussion. Most concussions result in full recovery. Duration of symptoms can be quite variable and symptoms may last from a few days to several months, sometimes even longer. These symptoms should be recognized and treated properly in order to ensure a good and rapid recovery and to prevent complications. So dont hesitate to seek specialiced medical advice or to seek a second opinion if in doubt. One of the main is the increased risk of a second head injury (as long as symptoms are not completely recovered). The second head injury is trhen usually associated with higher severity of symptoms and inreased recreation time. An athlete who sustains concussion is 4-6 times more likely to sustain a second concussion. This is probalbly due to decreased speed of neural information processing, resulting in slower reaction times, impaired concentration or balance problems. Complete healing is key to reduce the risk that a first head injury can cause a second concussion. This is why a a stepweise return-to-play or return-to-school is recommended. This should be individually adapted, based on the results of neurocognitive and neurovestibuar/neuroophthalmological testing. Is the brain an important organ in sports? The human brain is an incredible fast and complex organ, even modern computers fall way short to reach the brains capacity of signal processing. A concussion usually means decreased speed of neural information processing, resulting in slower reaction times, impaired concentration or balance problems. In many sports, decisions based upon complex integration of different informations (experience, assumptins, visual, acoustic, vestibular und other informations) are made within milliseconds, usually there is not time to think. In this sense, a lot of sport situations rely on a 100% brain health that makes all the difference. Why going to a neurologist? In the days following a concussion you should see a concussion expert. Ideally this should be a physician specializing in brain disorders. Most of the concussin symptoms are within the neurological spectrum. Headache, dizziness, impaired concentration… A neurologist is trained to recognize and manage these symptoms. Before return to play – similar for return to school and return to work – the symptoms must have cleared completely. What happens during a concussion consultation? A specialized concussion consultancy inludes a neurological assessment, special evaluation of balance, vestibular system, visual system and tests of cognitive function, such as attention, concentration, and memory. More tests such as brain imaging (MRI) or other tests might be ordered, depending on the individual symptoms. Always the focus is on full and safe return to play. According to test results, counseling on therapy (if needed) and return to management is given. These test results are important information to assist in decisions regarding return to work, return to school or return to play. Baseline testing (pre-season testing) is offered to all sport athletes at risk for concussions. After a concussion, ideally test results can be compared to test results performed at the beginning of the season, the so called baseline test, when the player was well. This ensures, that a normal comparison fort he individual athlete is available should a concussion occur. The test score should be comparable to baseline before returning to exercise. What Sports or other recreational activities are particularly associated with risk for concussion? Is concussion only important in sports? Of course, Concussions are not limited to sports. They can result as well from other injuries, such a s falling, slipping on ice, bicycle accident, whiplash injury, etc.